WASHINGTON: For the first time ever, a US general informed a congressional panel on Thursday that Pakistan had “done things” against the Haqqani network that have been helpful to the war against terror. Gen Joseph Votel, commander of the US Central Command, also told the Senate Armed Services Committee that India’s policy of diplomatically isolating Pakistan was “especially troubling” as it could lead to a nuclear conflict in South Asia. 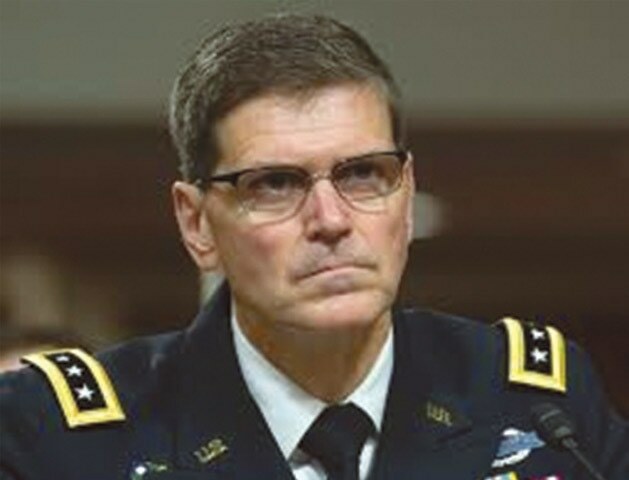 Gen Votel, who is responsible for implementing the US military strategy in the Pak-Afghan region, described Pakistan as a key and critical partner and emphasised the need to stay engaged with Islamabad in the counterterrorism fight. 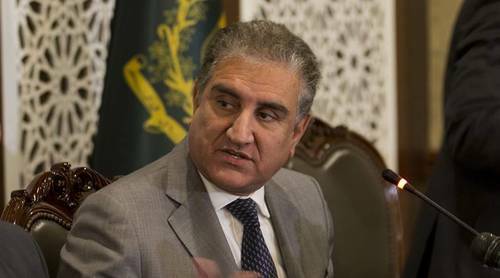 His stance reflects the Pentagon’s desire to maintain its long-standing relationship with Pakistan’s military establishment and contrasts sharply with recent statements by some US lawmakers who urged the Trump administration to sever ties with Islamabad. Gen Votel told the Senate panel that he has been encouraged by his meetings with Pakistan’s new army chief Gen Qamar Javed Bajwa and by his commitment to the fight against terror. 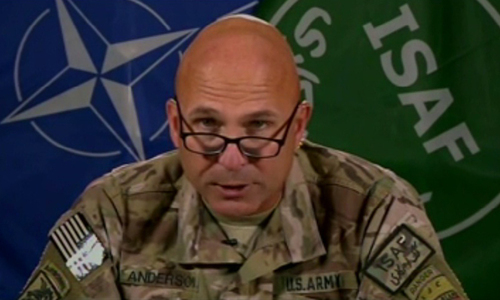 Gen Nicholson is the commander of US and Nato forces in Afghanistan who, Gen Votel said, was working closely with Pakistan’s new army chief and his commanders to eliminate various terrorist groups hiding on both sides of the Pak-Afghan border. 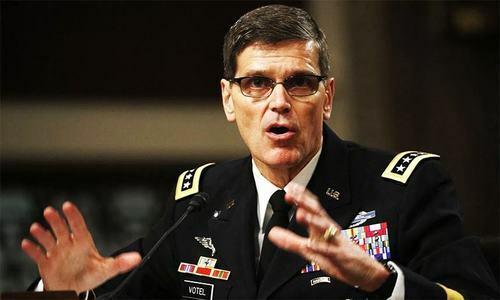 In his written testimony, Gen Votel also elaborated the US defence establishment’s position on India-Pakistan relations, which appeared more even-handed than recent statements by some US lawmakers who clearly urged the Trump administration to abandon Pakistan for improving Washington’s already close relations with New Delhi. Explaining the genesis of recent tensions between India and Pakistan, the Centcom commander explained how Indians remained concerned about the lack of action against India-focu­sed militants based in Pakistan. He noted that India “even responded militarily to terrorist attacks in India-held territory earlier this year”. Pakistan denies the Indian claim, saying that Indian forces never crossed into Pakistani territory but the US general endorsed the Indian claim. The general warned that the Indian policy of isolating Pakistan was “especially troubling as a significant conventional conflict between Pakistan and India could escalate into a nuclear exchange, given that both are nuclear powers”. Gen Votel also told US lawmakers that Pakistan’s increased focus on its eastern border detracts it from its efforts to secure the western border with Afghanistan from incursion by the Taliban and Al Qaeda fighters. 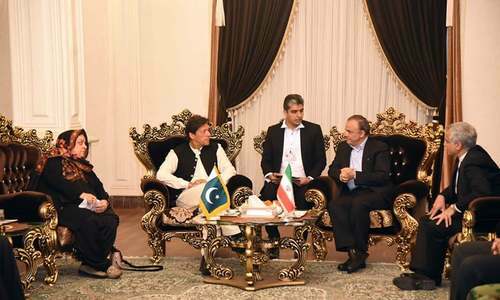 “Security along the western border will nevertheless remain a priority for Islamabad, as the Pakistani military seeks to expand border control and improve paramilitary security,” he added. Responding to a question from Senator Tom Cotton, an Arkansas Republican, Gen Votel explained that eliminating the sanctuary of militant groups in Pakistan was key to improving the security environment in Afghanistan. And that’s why the US maintains consistent diplomatic pressure on Pakistan to take appropriate steps to deny safe haven and to improve the security of the tumultuous Af-Pak border region, he added. “I think it is key to ensure that Pakistan and Afghanistan have a very good relationship. There certainly are tensions along the common border between those countries and so I think a key role that we can play is in helping move that relationship forward,” he said. In his written testimony, as well as during the Q&A, Gen Votel regularly emphasised the need to maintain a strong relationship between the US and Pakistani military establishments. 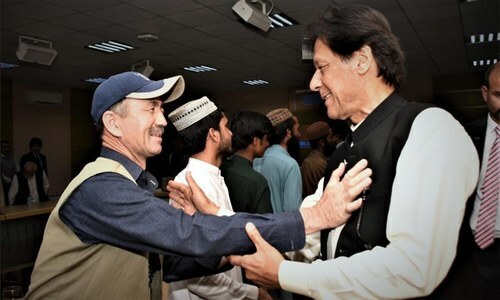 He noted that most recently, the Pakistan Air Force sent airmen and aircraft to participate in Exercise Red Flag and Green Flag at Nellis Air Force Base in Nevada this past summer. The Pakistani military also continues to support US efforts elsewhere in the region. The Pakistani Navy is the most consistent and longstanding participant, second only to the United States, in Combined Task Force (CTF)-150 (counterterrorism operations) and CTF-151 (counterpiracy operations) led by US Naval Forces Central. “Our relationship with Pakistan remains a very important one. We look forward to continuing our engagement with the Pakistani military leadership, to include the new Chief of the Army Staff, Gen Qamar Javed Bajwa, in the days ahead as we work together in pursuit of shared interests,” he said. Gen Joseph votel is 100% right. India's attempts to isolate Pakistan have failed miserably. Now the whole world has seen Mr.Narendra Modi's real face. Peace come when Guns are silent. 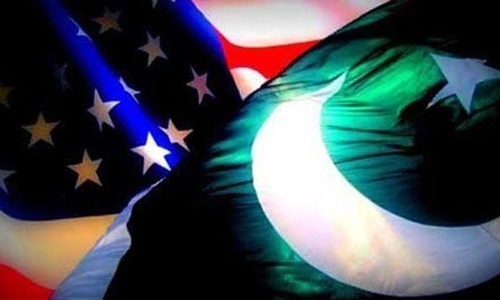 There is a contradiction in the US thinking about Pakistan. The US General is issuing a half-hearted statement in favor whereas their senators working on adopting another course. Who are right? It is so difficult to understand the US. They can confuse everybody including their own selves. What do they actually want? @The end is near. 100% right you say..? So you endorse his endorsement of camps existence and the cross border action as well I guess? @mark United Nations of Asia:- Pakistan China Russia Iran Turkey Sri Lanka and Central Asian Republics. Good relations...then why use drones ?? Recently I read that it has been proven that Pakistan wasn't involved in the recent attack so now India should simmer down. 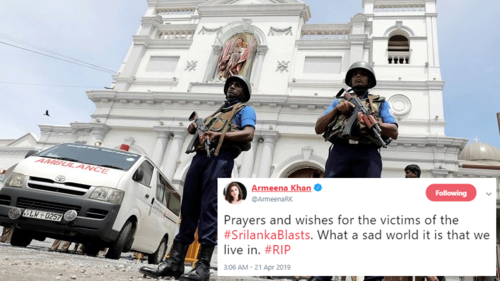 Maybe India should see if they have internal issues that might have caused this attack and someone from the government or the army was involved in it. 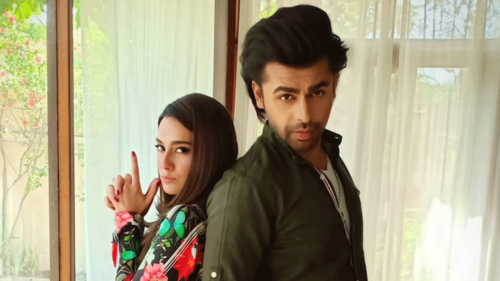 Things heated up as soon as Kashmir came into the lime light which kind of sheds light on the frustration and tactics to steer away the eyes from Kashmir. India meeds to get their head in the game and perhaps work with Pakistan to stabilise the region rather than forging hatred in the hearts of people. Pakistan should also simmer down and work together and solve these issues. We can acheive so much if we work together. This may be one generals opinion or the opinion of the military leadership. However the political leadership may have a different opinion. Either way Pakistan has no option but to work with the neighbors to fight against the terrorist networks operating from its soil. USA is fighting miserably a lost war in Afghanistan, it is ripe time for USA to eject itself from there and let the immediate neighbors to bring peace and stability in Afghanistan. Their growing apprehensions regarding the controlling of the region by USA from Afghanistan is a known fact, therefore all these states would never allow USA to settle down by helping the freedom fighters. USA should know that Pakistan alone don't have a key for peace but other powerful stake holders like Russia China Iran equally control Afghan affairs. Who cares what Americans think of Pakistan. Pakistan should think of its own interests. They are confused. Trying to maintain balance relation with both India and Pakistan. They must select either here or there. YOu cannot sail in two boat. @farid : Who cares what Americans think of Pakistan. Pakistan should think of its own interests. Problem is there is no one in Pakistan to think of it's interests. @The end is near , yes modi seems to fail ! in UTTAR PRADESH only around 300 out of 404 seats , what a loser modi is ,isolate him more ! The real victory will be to not stay engaged too much with the usa. Positively or negatively. Try to remain low profile with usa. They have a military strategy as said above and are using indo pak as pawns. US, please let us be to our own designs...do not add to the misery of our debts, lowering remittances, loadshedding and a thousand other worries. Let us deal in peace. We neither want to be your enemy nor your friend. Our defunct leaders have used the 200 million poor souls for their personal leverage. We longer want to be part of this cocophony. Reminds me of movie GreenZone where in spite of secret negotiations proving Iraq had no WMD, the country was still attacked for regional hold and oil. US representatives playing the same guessing game today. Credit where credit is due. That's fair. Donald Trump -first nail in US coffin. Most of the politically aware Americans are saying the opposite about Pakistan. Wonder why the general is giving statements different from the reality? @Ayub .... The US Senate and the US military are two very separate entities. Military officers have their own schools and are educated in a different kind of group thinking. West Point, Annapolis Naval Academy, the Air Force Academy turn out young professional officers, and hundreds of other university programs for officers. Many officers hold Masters degrees and PhDs. They are often more highly educated than US Senators. There are two dozen US Army Branch Schools, as well as branch schools in the Navy and Air Force. At the top is an addition 18 weeks at the Armed Forces Staff College in Norfolk, Virginia for field grade officers - which is preparation for higher command opportunities under the auspices of the National Defense University and Joint Chiefs of Staff. Most US Senators are far less educated. US doesn't need Pakistan anymore. what more can one say! Proud of the PN and PAF. Pakistan needs to sidetrack america and with chiniese investments coming in. Concentrate on development. America only brings wars and death and destruction. Maybe even ban americans. This general is hardly important within the pentagon much less the US government. Yes sir sure sir we always do more. For our own interest. It is high time US leaves the shore of this region. Let the main stakeholders Pak, India and Afganistan sort out the terrorist issue by talks and or by military actions. Looks like the surgical strikes really happened after all! Out of 20 only 7 are inside Pakistan, that means 13 are still operating inside Afghanistan as per US standards, yet ironically the general still insists on the safe heavens inside Pakistan as a threat to Afghan stability and not those 13 that operate from inside Afghanistan that also include ISIS and poses a greater threat to the entire region. Where does it say that America has endorsed so called surgical strike by India? "Military action" is a general terms which Pakistan also employ against India with its border action teams(BAT). Pakistan also acknowledged that there was an attack on its forward posts by India which was successfully repulsed. Be wary of US and think of your own interests Pakistan but terrorists of all kinds have to go. When will US do "helpful things" against Indians in Afghanistan who are sending terrorists into Pakistan? Why is our friend US silent on this? Something tells me to have trust on the guy in the field in comparison to a guy in his cozy Washington office. @Taimoor khan. You should read it again, it says..'Pakistan denies the Indian claim, saying that Indian forces never crossed into Pakistani territory but the US general endorsed the Indian claim..' US must have satellite data. "Pakistan did ‘helpful things’ against Haqqanis: US general" Thank you sir for acknowledging this fact. Many other top American officials have also accepted & appreciated Pakistan's role in fighting terrorism. 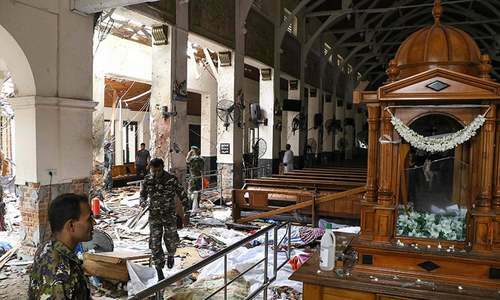 Pakistan has been consistent with its commitment to eradicate terrorism and in the process suffered the most through sacrificing lives & materials. Pakistanis have one basic issue with the American administration which is very difficult to cope with "America's off again & on again policy" This is the biggest hurdle coming in the way of reposing confidence. The statement made by General Joseph Votel, commander of the US Central Command before U.S. Senate's Armed Services Committee regarding India’s policy of diplomatically isolating Pakistan is an eye-opener for every peace loving person in the world. He is 100 percent right in calling it as “especially troubling” since it could lead to a possible nuclear war in South Asia with unbelievable destruction on both sides. Let's "hope for the best and be prepared for the worst," as they say in the great German German language. @Dr. Salaria, Aamir Ahmad America is a great businessman country. Afterall they have to earn profit from arms industries and for that American have to sell military hardware to both india and pakistan . So deep inside they would also not want peaceful relation between india and pakistan. 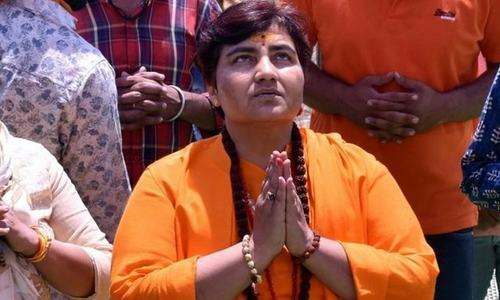 For example UN resulation on kashmir these white skin delibrately made this issue contrivrasal so that both side spent their energy fighting this issue for near future,also. @Shah We have had 50,000 to 60,000 people killed in the process Shame on these so called Pseudo Leaders for accepting helpful status Poor dogs dogs. @Hafiz Pakistan denies any claims of so called surgical strike but did acknowledge an attack on its forward posts on LOC losing few soldiers and killing Indian soldiers as well in reply. In is a normal skirmish and happen all the times on LOC. A "military action" at best but not surgical strike by any stretch of imagination inside Pakistani territory. 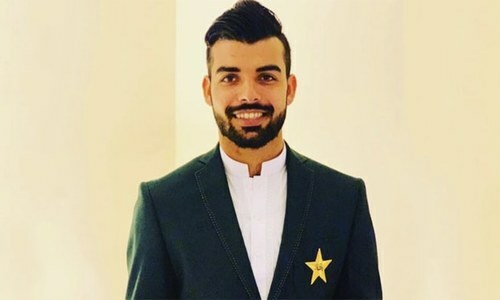 @mark Not good for Pakistan. @saudagar Nice one.Modi is a loser. He should have 402 out of 404 seats. @mark No such thing, learn to respect each and individual independent country including Kashmir. @Junaid Never question a US general, please. @Mohammad S. Khalid thanks a lot u did not say last!!! @zak Please let us know whether you get this "information" from..
@BHAJPA because, he wants them to "do more". Which, in other words means, you haven't done enough.